Nyima started dancing at age 2. She began with Ballet and Tap and has since ventured in to all different styles, with her favorites being Contemporary and Acrobatics. 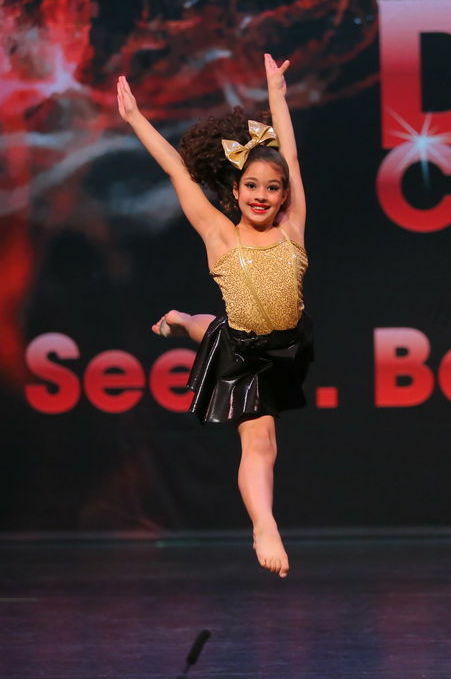 Nyima trains up to 38 hours a week at K&S Dance with the Competitive Program and has been blessed at such a young age to work with world renowned choreographers such as Pam Young, Liz Tookey, Caara Cridland and Heather Dotto. Nyima has won several awards, high scores, and scholarships and was awarded her first bursary in 2014. She also recently joined the 2019 Canadian Dance Team, where she will be travelling to Poland to compete on the world stage! Since signing with da Costa Talent, Nyima has booked several national commercials and continues to enjoy growing her acting skills. When Nyima is not at the studio you can find her home on her computer, playing with her siblings or doing round off backhand springs down the hallways. She enjoys reading and is always up for a good board game!